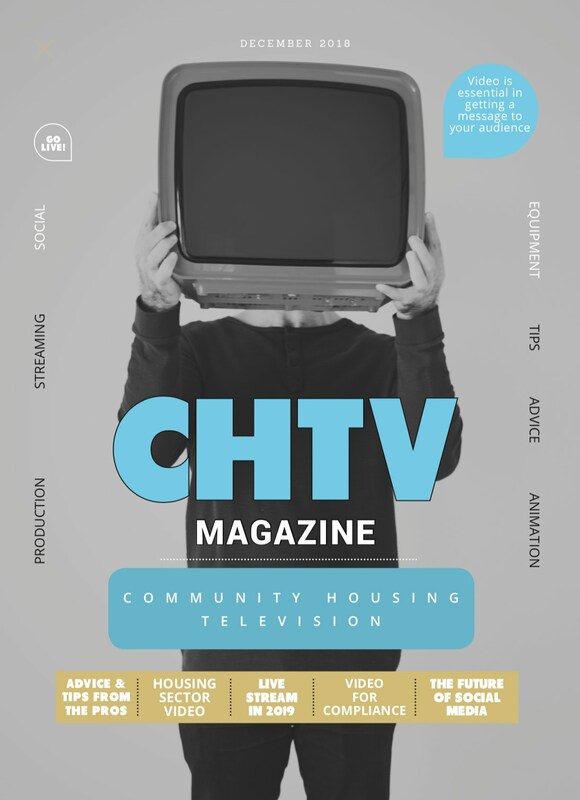 Community Housing TV is a magazine, published by Tantrwm, for public sector housing organisations. The magazine features tips and real life examples of the way video is being used in the public sector housing market. The first edition was publish in time for Community Housing Cymru’s annual conference and handed out to nearly 300 delegates, visitors and stallholders. If you are using video in your community housing project and would like to have a featured article in the next edition then please get in touch with Andrew Chainey. The aim is to publish bi-annually. However, if we have a good response then there will be additional editions. We are particularly interested in featuring articles on innovative uses of video, be that 3d animation, VR, citizen journalism or something new. If you have a great story then don’t keep it to yourselves, share it with professionals in your field. If you are have a niche product or service that compliments video and would like to have an advertorial piece then please get in touch. There will be 6 double page spreads available in the next edition available on a first come, first served basis @ £400 per double spread. There will be 2000 copies printed and distributed. If you enjoyed the magazine, then please let us know. If you have any ideas for future articles drop us a line. Click image to open magazine.